Already lots of European holidaymakers have met Javea‘s charms. With the growing popularity (also among Scandinavians), Javea will make more holidaymakers happy next summer. Javea is an ideal summer paradise. Many tourists love the charming atmosphere and the various possibilites that Javea offers. 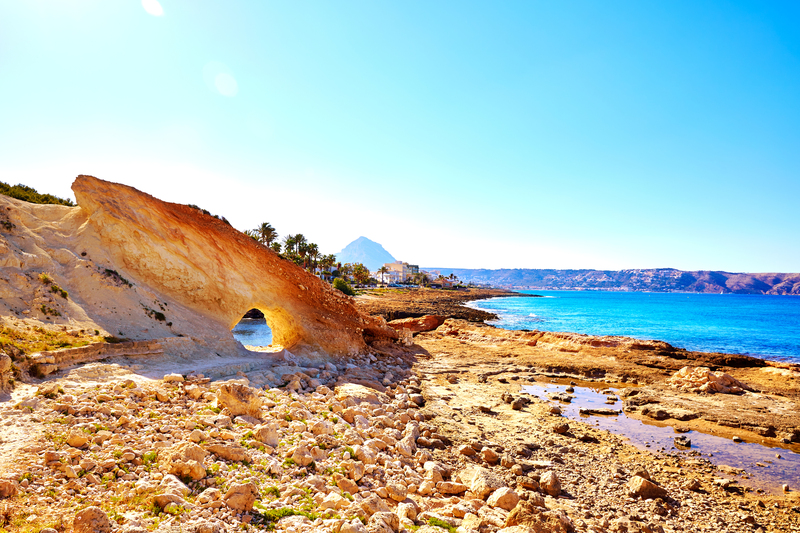 There’s a lot hidden in the 3 areas of Javea: Javea Pueblo, Javea Puerto and Playa de Arenal. You’ll have a great time on 1 of the beaches of Javea. Here you can chill and relax. Or make a sand castle with the kids. Just be aware to which beach you’ll go, as they’re not all sandy. Javea wouldn’t be Javea with its large variety of water sport facilities. More spectacle you’ll experience in the old part of Javea, where you can unveil numerous of historic and touristic spots. Rambles and hikers will feel like they’re in 7th heaven when they’re enjoying the mountains and valleys. As you notice, Javea is a great place to spend your summer holiday with lots of interesting opportunities. That much, that we can write toilet paper rolls full. But, we will not do that. We’d like to safe you some time with a short introduction of Javea. Therefore, we’ve made a special selection of 10 tips. Just a helping hand to give you some inspiration what you can do during your stay in Javea. It’s not the first place you’ll go to, but a bit inland there’s an interesting part of Javea to explorer. 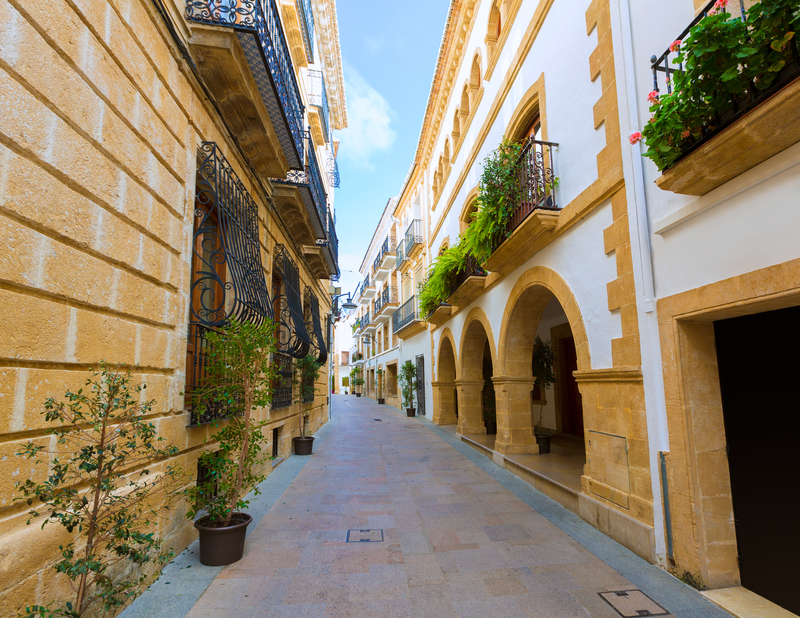 The old historical part of Javea has a special authentic charm. Imagine that you wander through the maze of narrow streets with on your left whitewashed houses staring at you. When you decide to continue your journey, a few meters further your eyes get caught by the houses decorated with wrought-iron grilles and lintels. You’ll feel that there hasn’t changed a lot since the tourist invasion. Especially when you start to do your research in the very narrow main street Calle Mayor, nearby the historic quarter Plaza de Iglesia. In this area you’ll discover the richness of Javea’s medieval history and the foodies will love the indoor market in the medieval building ‘Mercado Municipal’. Day or night, it’s an adventure to step in the daily life of Javea. With art galleries, nice shops, tasty restaurants and a cafe on almost every corner of the street you’ll enjoy yourself. Locals and tourists love to come to the old town on Thursday morning. This is because of the outdoor market in the area of Plaza de la Constitucion. The natural park is situated in a mountainous region among the Gibraltar Arc. From afar you can see the mountain in the shape of an elephant with its trunk in the air. What’s less from afar to be seen is the hidden unique flora and fauna. It’s 1 of the most beautiful places to visit during your holiday in Javea. You have magnificent views over the coast along the Mediterranean Sea. When you follow the hiking routes you’re passing by lots of other beauty. 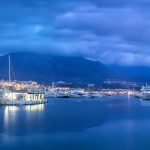 You can walk to the 11 windmills and the view point Cap de San Antoni, the Santuari Mare de Deu dels Angeles, Torre Gerro, the cave Cova Tallada, the balcony of Montgo (Balcón Montgo), and up to the highest point (Cim Montgo). All in all: mighty! Most of the famous simplistic wooden pavilions of the hippie 60′ cleared the way for stylish luxurious Ibiza beach tents. More and more the so called ‘chiringuitos’ are seen on the beaches of Javea. Follow the way of lounge. Can you imagine that you’re on a luxurious lounge and that you’re enjoying a delicious fruit cocktail? Great, isn’t it? While you feel the sand around your feet a beautiful view is ahead of you. Montgo di Bongo and Chiringuito Moskito are 2 of the favorite ‘chiringuitos’ of Javea’s visitors. Some go for a delightful trendy cocktail, another one is excited about the tapas and another is impressed by the dream-like mood with a dash of romance. 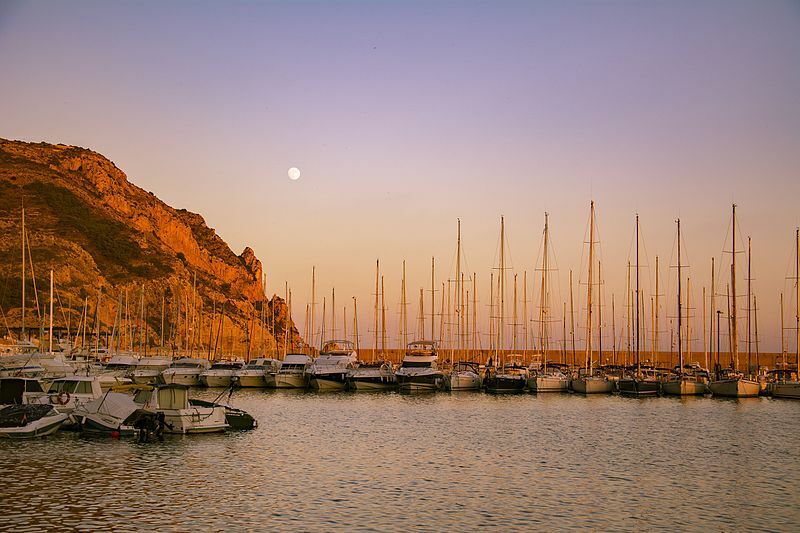 Unlike many other holiday resorts, Javea has its traditional fishing port with moored yachts remained. Despite innovations and more focus on tourism, you’ll experience an authentic Spanish ambiance. The beautiful promenade has on every few meters a restaurant, cozy bars and appealing terraces. Spectacular views are of course from all over the places. Which makes it a great place to take a day menu (menu del día) around 1 or 2 PM. Or enjoy 1 of the culinary delights in the afternoon with some cava. Without a traffic jam and pure natural air conditioning you’ll have an excellent day out! In the morning you can enjoy a lovely breakfast in the harbour of Javea under the rising sun. Followed by your exclusive boat trip on the deck. You’ll have an outstanding panoramic view on the coastline, while you’re relaxing with a light breeze around you. The special church leaps out at you from the top of the mountain of the village Altea. After approximately 7km over the water flowing you’ll arrive in the fascinating old town Denia. An authentic typical Spanish village with the castle of Denia as main attraction. The 3 towers and the archeological museum show you more about the history of Denia. Besides that, the views are breathtaking! 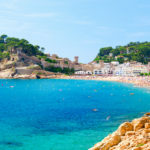 Javea is situated amongst the viewpoint Cap de San Antoni and Cap de la Nao (in Valencian Cap de la Nau), with the Mediterranean Sea on its front and the inland on its back. 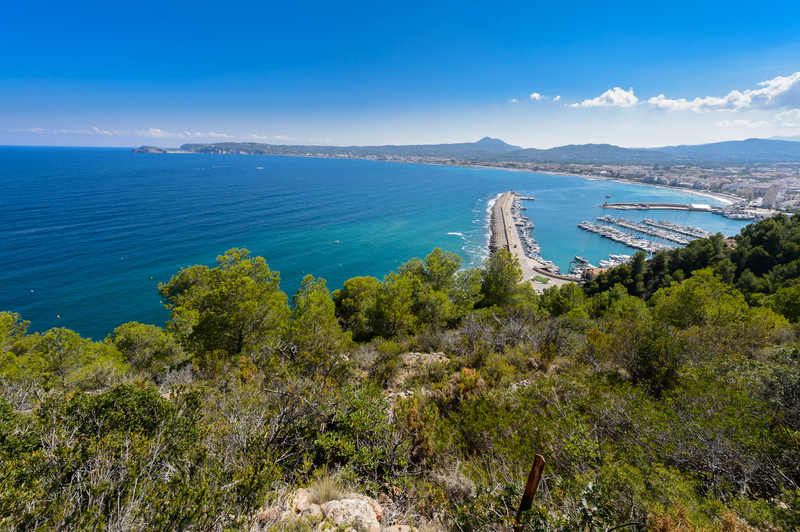 When you’re on Cap de San Antoni you’ll enjoy the views of course. But there’s more. You can go headland via the marked walking paths. Like this, you can visit the lighthouse and the 11 windmills on top of the hill of Cap de San Antonio. This indicates to the existence of Muslim buildings in this area in former times. The so called PR-CV 355 route will lead you to the Santuario de Nuestra Señora de los Angels. 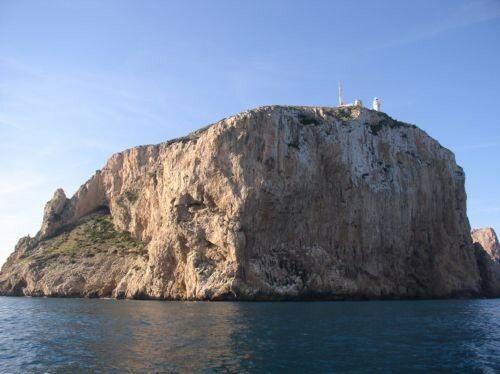 On the southern part of Javea is Cap de la Nao and her lighthouse. In this wonderful nature reserve you can entertain yourself surely for a day. Nothing will lack. And you won’t suffer hunger, as a bit higher than the lighthouse there’s a restaurant. A bit further you’ll find the castle Granadella, which you’ll recognize to its rough stoned horseshoe shape and the 2 bronze cannons. When you wander through the streets of Javea, don’t forget about the quite places. Because you might miss a fascinating highlight like the church La Parroquia Nuestra Señora de Loreto near the harbour of Javea. This impressive church has been built in honor of local fishermen of Javea who survived a boat crashing through waves. It’s incredibly hard to imagine that this modern styled church has been built in 1967. But with a good inspection you’ll notice the architectural wonder of the hull-like shape of a ship. Inside this true historical miracle will even surprise you more with the spikes around the roof (representing waves) and details everywhere. Therefore, numbers of people who already observed the church, advise to take time to watch the really well thought-out architecture. 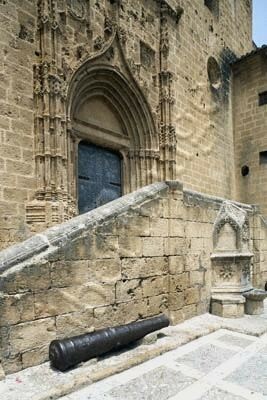 This Gothic church is the historical heart beat of Javea. The interior southern and western walls have traces of the Spanish civil war. You’ll see that the fortress church is marred by bullet and shell holes. But the remains of history in this graceful Sant Bartolome go even further up till over 7 centuries ago! Details as the high located windows, the defensive machicolatons above the main door and the late Valencian Gothic architeture are just a few examples. Visitors who’ve seen the ‘Sant Bartolome’ with their own eyes, really recommend a visit to this true spectacle. When you’re there, don’t forget to take a look around in the heart of Javea. On the square are more architectural highlights, as the town hall, the building of the tourist information and the indoor market. Ondara is a small old town, aproximately 14km inland on the north from Javea. ‘Ondara’ is a very impressive arena in the identical named village Ondara. Despite almost getting lost during the Civil War, the Arab styled arena has been rebuilt in 1957. The architectural level of ‘Ondara’ is impressive high. But it’s not all about the eye. The famous bull fight ring ‘Ondara’ is also a historical honorable place. This brings us to unveil you the fascinating detail that most of the great bullfighters fought in this arena. Visit ‘Ondara’ and enter the famous bullfight ring to feel the indescribable experience. We realize the national park isn’t around the corner of Javea, but it’s definitely name worthy to visit. The national park is near Benidorm and also called Sierra Helada (ice berg). It’s called the iceberg, because of the colder macro climate. This makes it possible the mountain has exceptional flora. 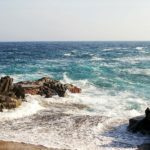 On 1 side you’ll see a large forest and at the side of the Mediterranean Sea you’ll see flora that is able to survive in salty ground and abrasive winds. 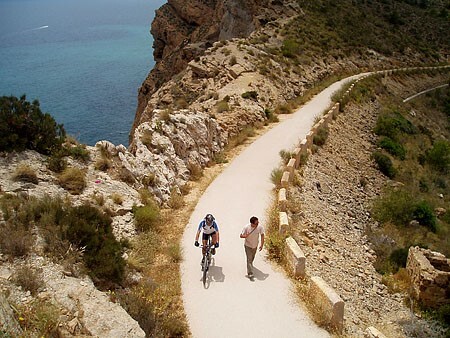 This extremely extraordinary natural park, between Benidorm and Albir, has numerous of walking paths. Don’t release your your enthusiasm too early. To enjoy this beautiful environment optimal, make sure that you have a good pair of shoes, plenty of water and endurance. Do you also want to know more about the area of Javea? Javea is really an exciting place, where you can be for action and chilling. For a holiday by yourself, couples, families, groups of friends, or with whoever you go on holiday Javea is a great place to stay. With the TOP 10 of Javea we gave you the ins and outs in a nutshell. But there’s more. 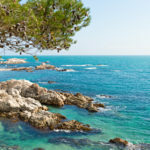 The Costa Blanca is well-known by winter visitors, but it’s also a very attractive area in summer. There are lots of interesting sightseeings, yin-yan natural areas and more that will let you have the holiday of a life time. How? 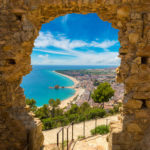 Put your magnifying glass on Javea and the rest of the Costa Blanca.